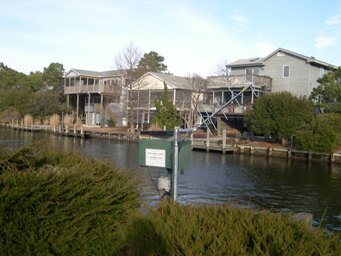 canal off Jefferson Creek, at bulkhead at the end of West 1st Street at South Bethany. PERIOD OF RECORD.--July 1999 to current year. GAGE.--Water-stage recorder. Datum of gage is 0.00 ft above North American Vertical Datum of 1988.
minimum elevation, -1.10 ft, datum then in use, February 6, 2007. CRITICAL LEVELS.--Top of bulkhead; 2.22 ft NAVD88, information provided by U.S. Geological Survey.